Allen White has been part of the UCC Geography Department since 2006. He has worked on successive externally funded research projects (Migrant Children Project and the Transnational Childraising Arrangements between Africa and Europe [TCRAf-Eu project]). He is an active member of the Geography Department's Migration and Intergration Research Cluster. He is also a member of the ISS21 Migration and Integration and Children and Youth research clusters in UCC. 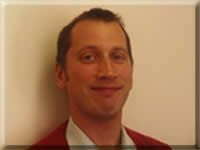 He is currently employed as postdoctoral researchers and national co-ordinator of the TCRAf-Eu Transnational Childcare project. Allen's research interests lie in transnational migration, children, asylum and social and political geographies. Allen has authored or co-authored 13 publications in peer-reviewed journals such as Area, Geoforum, Political Geography, Womens Studies International Forum, Population Space and Place, Qualitative Research and Signs. He has co-edited special issues of Irish Geography, The Journal of Ethnic and Migration Studies and Childhood. Alongside these publications he has co-authored Childhood and Migration in Europe: portraits from contemporary Ireland (2011) and is co-editing another book Migrations: Ireland in a Global World. Allen has presented at international and national conferences and been invited to present research seminars in Cork, Worcester, London, Dublin and Galway.